Handbag sample made at the Accelerator’s cut and sew pod by Unshattered one of the start ups (this one a non profit) the Accelerator works with. 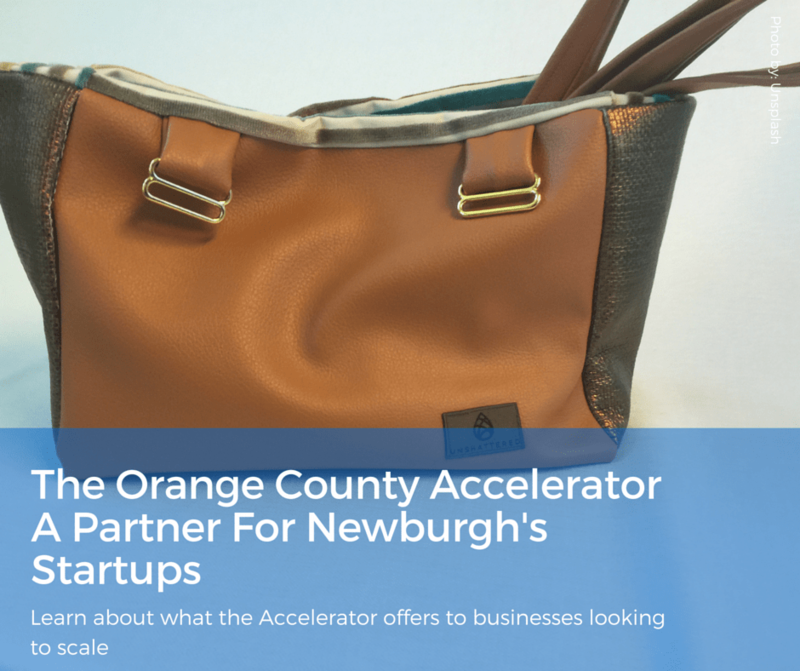 After our recent focus in part one of our series on live-work and start-ups, we visited the Orange County Accelerator and its parent-partner, the Orange County Industrial Development Agency (I.D.A.). Both are located near Stewart Airport, not far from downtown Newburgh. The Accelerator helps start ups and makers looking to scale up. 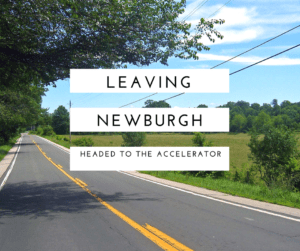 The Accelerator is located directly to the west of Newburgh in a rural area where farms and warehouses coexist. You can get there in under fifteen minutes where you’ll arrive at the New York International Plaza (an industrial zoned district adjacent to Stewart). The Accelerator is in an attractive modern building at 4 Crotty Lane. The Orange County Accelerator offers all that a traditional accelerator offers: office space, with all the amenities, and fully wired, but it also offers much more. It has incubator pods which help a small start up scale. At the Accelerator, we met with the Executive Director, Laurie Villasuso, and also with Vincent Cozzolino, head of the I.D.A. “The I.D.A.,” explained Laurie, is the driving force behind the Orange County Accelerator, which is a certified New York State business incubator. The I.D.A., operates the Accelerator. (According to the state website, incubators provide: physical space; shared administrative staff; access to capital; coaching; mentoring; networking connections; prototype development and access to other technical services). “The I.D.A is a state enabled organization that attracts business to the area via tax incentives.” Villasuso said. “You will find that an I.D.A. exists in every city in every state and is designed to attract companies to start, and to create jobs, and make an economic impact. Our main goal is job creation. “We are funded by the big projects we bring in which pay fees to us. “When a company comes to the I.D.A., and they are approved to receive all the tax benefits we offer, they pay us a fee. “In turn, we use this as seed money to fund things such as the Orange County Accelerator. “Through this funding, the Accelerator is able to offer an office building fashioned into an incubator in both the traditional sense, it offers below market occupancy costs and a fully wired space, but also in a forward looking sense: it offers pods. These “pods” allow startups to scale up successfully at the beginning stage of their young businesses.” Villasuso explained. One of the pods is a sewing center with sewing machines plus other tools needed for craftsmanship and small-run production. And this pod offers access to fashion industry state of the art software, Tukatech. Tukatech, is a pattern making CAD program that provides apparel-product, creation solutions. The popular software makes pattern making and sample making much easier by streamlining the pattern making process reducing time to market and thereby allowing startups to be competitive and able to respond quickly to fashion trends. A qualifying cut and sew start up maker working with the Accelerator would have access to this technology. Say you are a maker that has had some success crafting, for instance you have hand-made a lot of 25 shrugs for sale on Etsy or Ebay, and you’ve sold them all. Now, you are encouraged and think you may have a business opportunity. But you are not quite sure how to scale up to the next level. According to Villasuso and Cozzolino, the Accelerator will work with you to identify what your business needs are and will groom you to take that leap to the next level. Villasuso explains: “We want our start ups to be prepared for the real world, what the costs and procedures of doing business will be, and we help them create a road map, develop a business plan, or walk them through the process of becoming, for instance, a MWBE (minority or women owned business). “We’ve hosted business boot camps which feature p.r. companies, patent attorneys,accountants, etc., all in an effort to educate our interested or qualifying start ups. 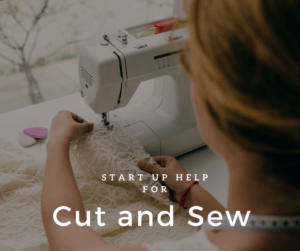 The Accelerator doesn’t just offer start ups a sewing fashion and design production center! It is growing and offering pods for artisan food manufacturers, bottling, technology makers, and artisan manufacturers. They also have an Accelerator Without Walls program, which we feature in our story about a young Newburgh couple who have bought a live-work space on Liberty Street and are working with the Accelerator to ramp up their business as they access the Accelerators and its many services. Read about them here. Of course, A River of Opportunities hopes when all Accelerator clients “graduate” and are ready to move into larger quarters, they will consider searching for one of the properties newburghny.org helps promote, adding businesses, jobs, and revenues back into the city of Newburgh and the region’s economy.